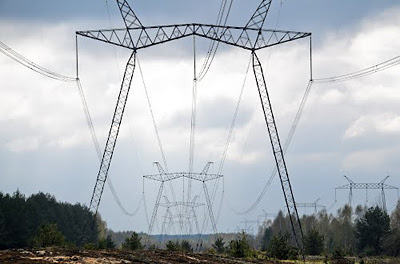 BAR, Ukraine -- Construction of a new high voltage 72.9 km (45.3 mi) long power transmission line and expansion of a 330-kilovolt substation in Bar have been completed in South-western Ukraine. The completed improvements are part of a much larger on-going US$200 million Power Transmission Project supported by the World Bank. The Bar substation is a bridge in the power transmission line connecting the Dniester Hydro Power Plant with tens of thousands of households in South-western Ukraine. With World Bank’s support since 2008, UkrEnergo, the state-owned power transmission operator, has been undertaking major upgrade of the country’s transmission system to reduce losses and enhance power services to customers across the country. At a total cost of US$28.7 million, these completed upgrades will have significant benefits to the company and Ukraine. They will make the Ukrainian power grid more reliable and efficient as they will help improve the company’s services and reduce significantly power losses and outages in the transmission network. Moreover, the improvements at the Bar substation will ensure more stable voltage in the grid through continuous power transmission, using the resources of the Dniester Hydro Power Plant to full capacity, which will generate savings of about UAH250 million [US$31.2 million] a year. Speaking at the launch, which was attended by Ukrainian Energy and Coal Industry Minister Eduard Stavytskiy and UkrEnergo Director Anatolii Khodakivskiy, Qimiao Fan, World Bank Country Director for Belarus, Moldova and Ukraine, said that the World Bank was delighted to support the country in its efforts to strengthen the national power transmission sector. “The World Bank is very pleased to support this modernization project. Having reliable and efficient power supply is critical for Ukraine’s development and the investments we have made under this project will improve the lives of ordinary Ukrainians who will benefit from safe and reliable electricity supplies,” said Fan. “This project is a vivid example of our fruitful cooperation in Ukraine’s energy sector. We truly appreciate the ongoing collaboration and effective support we receive from the International Bank for Reconstruction and Development to implement this project,” said Minister Stavytskiy. Ukraine has one of the largest power transmission systems in Europe, and one of the oldest. Over two thirds of the country’s almost 30,000 km (18,641 mi) of transmission lines and 133 substations have exceeded their lifetime. This means that old and inefficient equipment need to be replaced at most substations. “Recognizing the importance of the country’s energy infrastructure and working together with the Ministry of Energy and Coal Industry and UkrEnergo, the World Bank will continue to support the modernization of power transmission network in Ukraine”, said Fan. To date, the World Bank’s current investment lending portfolio in Ukraine includes 10 projects totaling US$ 1.8 billion. The Bank ended 2013 fiscal year with a record high disbursement ratio of 30.2%. Since Ukraine joined the World Bank in 1992, Bank’s commitments to the country have totaled over US$ 7 billion for 40 projects and programs.